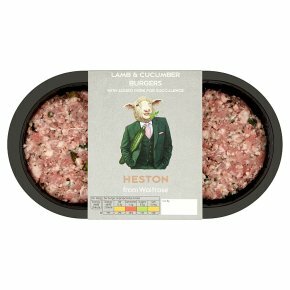 Heston's recipe takes its inspiration from the British cookery book archives, combining lamb and cucumber in a burger. It uses British bred Abervale lamb for tenderness, a bit of pork for extra succulence, diced cucumber, mint and a pinch of nutmeg for added flavour. BBQ Take extra care when barbecuing. Cook first and barbecue to finish.